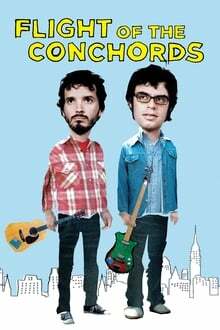 Flight of the Conchords, a light hearted shoe based around Bret and Jermaine trying to live the average life of two New Zealander musicians in New York. I really believe this show was a hidden gem and revolutionary for the time. The humour is in the perfect balance of just enough stupidity mixed with dry wit that it works incredibly well. I've found myself coming back to this show after not watching it for years and actually rediscovering them through their music (CO written alongside the show, it's actually really good go listen). Flight of the Conchords brings a low budget chic to it'... read the rest.